Life 5 builds and restores core intestinal health. Science is revealing that probiotics are especially important because of their positive effect on the bowel. 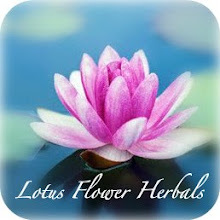 Many do not realize that the bowel is the source of core health and vitality. This is where the all-important transfer of nutrients to the bloodstream takes place. It is also the command center of the immune system and eliminator of waste products. If the bowel is not working properly, optimal health is impossible and the body is vulnerable to myriad conditions. If the problem is not corrected, severe bowel or gastrointestinal conditions sometimes develop. + Greater energy: Probiotics have been shown to assist the body in manufacturing important B vitamins and improving nutrient absorption. + Improved immunity: Probiotics, especially the super strain (LA-14), have been shown to be a tremendous support to immune function. + Intestinal health: By building bowel health, probiotics can enhance virtually every body system, but they have clinically shown to support normal elimination, improve digestion, boost immunity, and reduce yeast. Life 5 may be used by healthy children and adults to help maintain optimal well-being. Research indicates that those concerned with proper digestive function will benefit from taking Life 5. Life 5 may also be taken by those who wish to improve nutrient absorption, increase energy levels, and improve immune health. This product can be taken intensively at onset, during or after illness to boost immunity and support recovery. It is especially important after taking antibiotics or suffering any gastrointestinal distress. + Active and viable cultures. Life 5 uses hearty probiotic strains and is not subjected to heat during preparation and storage. + Clinically proven strains at the proper amounts.The strains in Life 5 represent some of the most proven health-promoting strains (e.g., L. acididophilus [LA-14], Howaru™ Rhamnosus, Howaru™ Bifido, S. thermophilus, and B. bifidum). + Strains proven to adhere and colonize in the intestines. The probiotics in Life 5 were chosen specifically for their tendency and ability to colonize in the bowel and out-compete harmful bacteria. Plus, Life 5’s proprietary blend contains ingredients shown to improve adherence of beneficial bacteria up to ten times. + Super strains proven to boost immunity, improve nutrient absorption, and relieve bowel distress (e.g., Howaru Bifido, Howaru Rhamnosus, and L. acidiophulis [LA-14]). 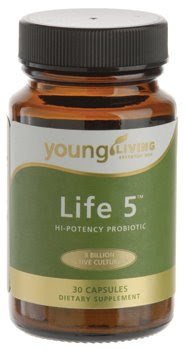 + Life 5 delivers five proven probiotic strains including three advanced super strains. + The number of bacteria present in the intestine (intestinal flora) is ten times greater than the cells of the organism. In adults, up to 100,000 billion bacteria belonging to 600 different species are present. + Between 70 to 85 percent of the immune cells in our bodies are present in the gastrointestinal tract. + A recent study from the University of Reading, UK, stated that the level of positive bacteria in the gut diminishes by 1,000 times by the time we reach the ages of sixty to sixty-five.